Desirous of a New Kitchen? Are you wishing for a new kitchen, but can’t see a way to make your dream come true? Renovating your home can be costly, time-consuming and stressful, not to mention inconvenient. In our busy world, any and all of these reasons can stand between you and the kitchen you desire. 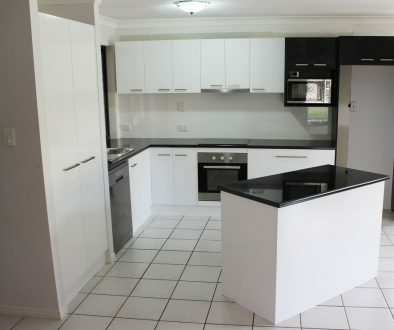 Express Kitchens Brisbane understands the difficulties that come with undergoing work on any part of your home – that’s why we’ve created a service that offers a solution to your worries. A big part of getting a new, fresh kitchen is choosing the design you love, and that works for your house. If you have to choose between pre-made clone kitchens, it’s unlikely that you’ll find one that is exactly what you want. Instead, we recommend a customised kitchen design. When you book a free 1-hour consultation with Express Kitchens, our designer will pay a home visit to inspect your available kitchen area and discuss your needs. Using 3D design technology, they create a digital model of the new kitchen you have imagined – fitting it perfectly to your space. Concerned that you are wanting a more unorthodox design for your kitchen? No problem! Since we manufacture your custom kitchen ourselves (in our Brendale factory), we have plenty of scope and flexibility where design is concerned. Life is busy. 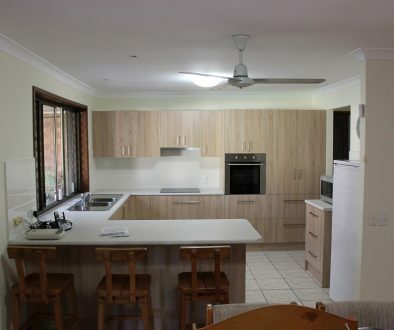 The prospect of living with a renovation site for several weeks is daunting enough to deter people from taking the plunge for their renovated kitchen. The good news is that with Express Kitchens, installations are easy and fast! Our 1-day installation offer means that when you come home at the end of the day, you’ll have a fully functional kitchen to enjoy. No need for stress or hassle – with our qualified and experienced team of tradespeople, we take care of all the details for your convenience. Since we began trading in 1992, Express Kitchens constantly strives to bring greater efficiency and effectiveness to what we do. That’s why we’re able to offer such competitive pricing in conjunction with high quality. Notwithstanding, we know that it can be challenging to bring finances into line to afford your kitchen renovation. Thus, our partnership with Skye Finance means we can offer customers a simple and accessible option for interest-free finance. Let us show you how easy it can be! 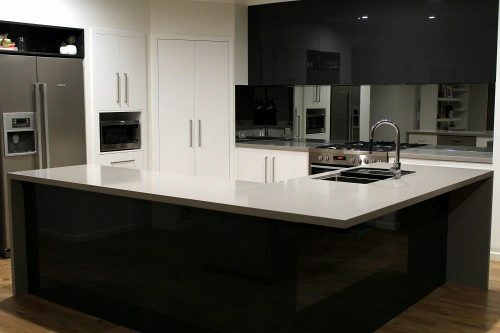 To get the ball rolling on the kitchen you’ve always dreamed of, contact the team at Express Kitchens today on 1800 675 605, or via our website.